I have not shared the Manifesto in its complete form. I do not hold any copies of it either electronically on my PC or in paper form. 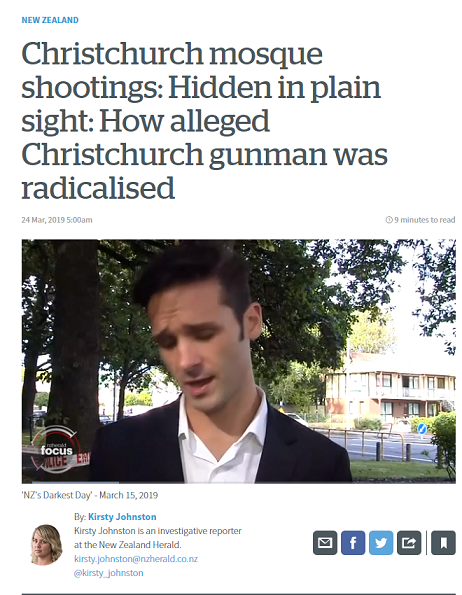 I have only commented and quoted it in reference to current affairs… none of which has been to incite hatred, or racism, but merely to critsise Government actions that have taken place directly related to the Terrorist attack in Christchurch. This blog post was originally an *Important note* I had attached to my other blogpost here … yet because this thing incrementally grew as events have rapidly transpired it became absurd to leave it as a note that was almost as long and significant as my original post. So I decided to cut it from the top of that post and make it a post in its own right and I will place a link on the top of my other post to direct readers to this explanation. What is ironic is that I have posted parts of the manifesto onto facebook, yet because I have been banned for 7 days… I cant access my posts to delete them! I have just been made aware that the New Zealand Chief Censor has Banned the Manifesto ‘The Great Replacement’. The question has been asked doe this also include comments and the like on facebook? A person may be convicted of exhibiting an objectionable publication if what is exhibited is in all the circumstances objectionable, notwithstanding that it is a part only of a publication that is not objectionable or is a restricted publication.”… I believe that the context in which I have used portions of the Manifesto that this falls outside these ‘Objectionable’ conditions as my quotations are legitimate Public discourse on serious political issues that are the legitimate domain for free speech and open political discussion. And so until I receive any official threats of prosecution I will not assume I am breaking any laws by not deleting it from my post… as to do so will not only detract from my protest, but also be another instances of the very topic of this blogpost… the political suppression of Free speech and dialogue. I have just been made aware of this via this article. Now if I was using quotations from the manifesto to incite Racism or violence… I would fear that I was acting within the context the Chief Censor means by the use of the term ‘objectionable’ and would therefore be in breach of his Ban … yet I am only quoting it in context of providing the necessary facts for my criticism of these very sorts of censorship that work for party political ends against the rights and liberties of the people. 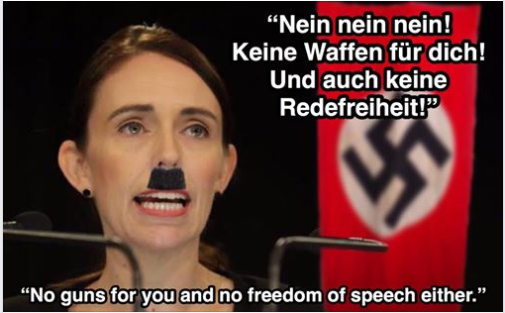 Will they also ban all global media from New Zealand internet that quote the manifesto? How in reality will this work? I encourage New Zealanders not to delete any comments, blogs or posts that are written in the spirit of Free and open dialogue without malicious intent. As It becomes more apparent what this ‘Ban’ entails, I may apply for an exemption should it be necessary to prevent my Blogposts from being suppressed, yet I hope it will not require that! 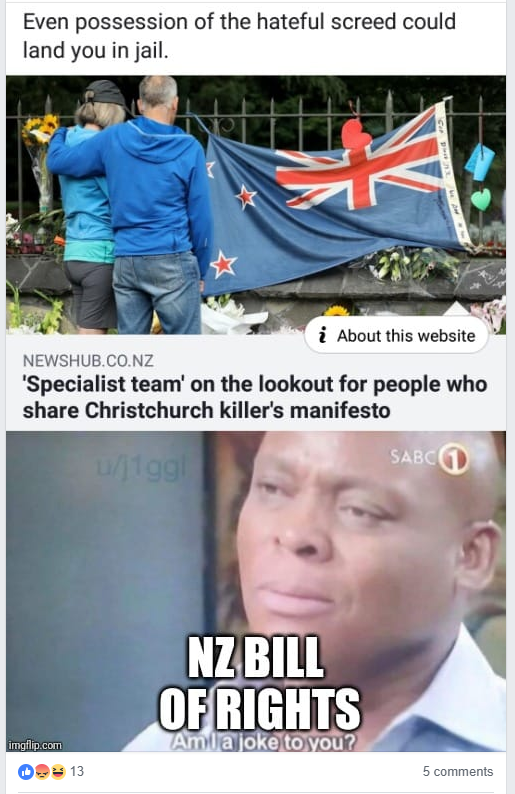 Oh how New Zealand has fallen! and become a land of Slaves without a voice! We cant let something as vital as Free speech be outlawed by shameful politicians who seek to dictate the only legal narrative! The NZ Herald appears to be still quoting from his manifesto… after the Chief censors ban. “The accused gunman’s manifesto, and his Facebook feed, refer to previous mass killers, such as the Norwegian far-right terrorist Anders Breivik, and from historical fascists such as Oswald Mosley. Having barely finished school he shunned university to work as a personal trainer. He sourced material online. “You will not find the truth anywhere else,” he wrote. Note also this article can be shared via facebook, twitter, etc. What is also disturbing about this article is that NZ security expert condemns ‘The self educated’ as ‘dangerous to society’… ie free thinkers whose minds have not been conditioned by the system… sort of the same rationale used by the Athenian state to execute Socrates. I will be adding to this post as relevant material comes to my attention and as events unfold. Update: It appears my intuitions about not being too hasty to delete the Manifesto quotations from my Blog posts like other sites have done… eg Whale oil and Rightminds… was correct. 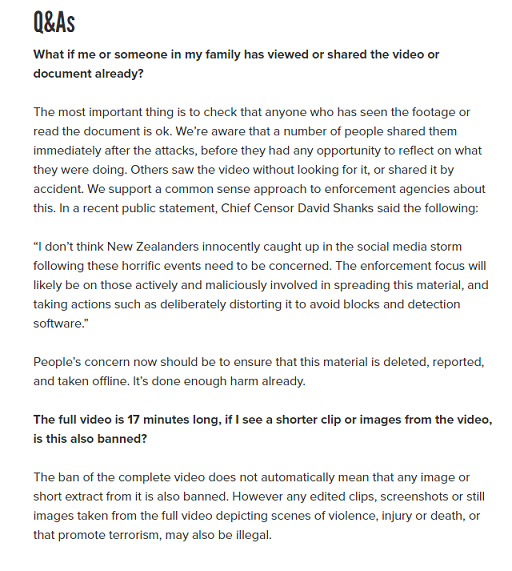 Here is a quote from the NZ Chief Censor David Shanks… “Most people reading the publication will not be harmed by it. “Most New Zealanders who have read this will simply find it repellent. But most New Zealanders are not the target audience. It is aimed at a small group who may be receptive to its hateful, racist and violent ideology, and who may be inspired to follow the example set by its apparent author,” said Mr Shanks. It is an offence to possess or distribute an objectionable publication. People who have downloaded this document, or printed it, should destroy any copies, Mr Shanks said. Previous PostFacebooks collaboration with Liberal Tyranny. Shutting Down Dissent Against New Zealand PM’s New Gun BansNext PostWorld War 3 On The World Wide Web. 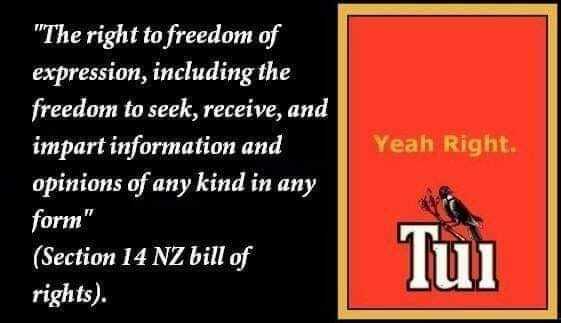 The Crushing Of Free Speech in New Zealand. This is a completely improper use of the censorship powers,” says Coalition Spokesman and constitutional lawyer, Stephen Franks, responding to media reports of the banning. It’s clear that the Censor only has the power to ban discrete things and not general things. So he can ban the full 17-min video or the full manifesto, and not excerpts of either. We should ask ourselves what it would truly mean if he did have that power. Hopefully no court would ever construe his powers to include such. But in the current climate, all bets are off. Keep going, man. Even the blogs that claim to be pro-freedom have no balls over this crackdown. They talk the talk, but they don’t walk the walk. One man charged has pleaded guilty to a charge of unlawful possession of the manifesto of the alleged mosque shooter. He was remanded in custody to April 26 to consider his plea to a newly laid charge of distributing the shooting video. Currie said the manifesto was found on the 22-year-old fisherman’s cellphone. It had been downloaded in the three days after the mosque shootings. The man told police he did not agree with government censorship and he had a right to have the manifesto, review it, and make his own decision “under the Bill of Rights”. One man, aged 17, charged with distributing the video of the mosque killings, has asked for diversion under the scheme that allows first offenders to avoid convictions if they apologise and make amends.